In the days before cars, people and goods travelled a long way on horses and trains. Horses and trains were easy targets for bandits looking to make easy money. 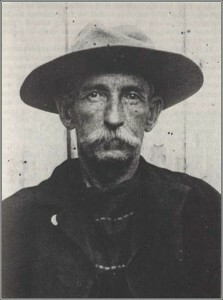 Bill Miner was one of the most feared train bandits. He spent four years of his life here in British Columbia. This is the story of those four years. 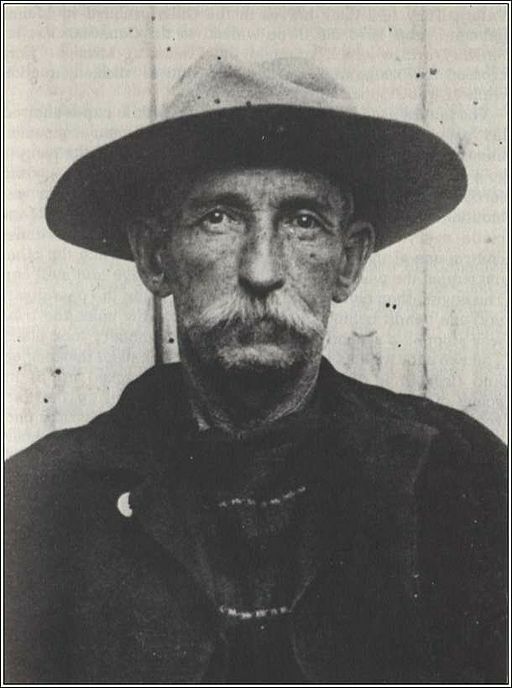 Wanted posters with Bill Miner’s face were put up all over the west coast of the United States. Bill needed to escape. He slipped across the border into Canada. George Edwards was the name he gave anyone who asked who he was. He went from town to town in British Columbia. He had no trouble making friends. He was a charming man. He played the fiddle. He showed people how to dance. He was known as a real gentleman. Nobody thought he could be a bandit. During this time, he got to know the area around Mission, British Columbia. Many trains of the Canadian Pacific Railway, or the CPR, passed through the area. He knew where the trains were coming from and where they were going. He knew how often they passed. By talking to the railroad workers, he found out what the trains carried. 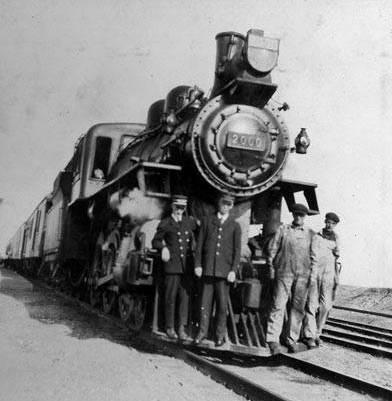 One day in September 1904, a CPR train stopped outside of Mission to fill up with water. Bill and two men climbed onto the train with their faces covered. Bill pulled a gun on the man driving the train. He took the man’s money and gold watch. Word spread to the passenger cars that the train was being robbed. The passengers hid their money and took out their guns. They were ready for the bandits. But the bandits unhooked the passenger cars from the train. The train went on without them. Next, the bandits made a worker open the train’s safe. Inside was $7,000, mostly in gold. They took it all. Bill chatted with the man driving the train. He gave him his money and watch back. Then he wished him a good day and got off the train with his two men and the gold. This was the first time the CPR was ever robbed. It was in all of the newspapers across British Columbia. More wanted posters went up. But the posters did not describe Bill’s face because it had been covered up. Bill went to Chilliwack. He played pool and poker. He even played poker with police officers. He didn’t get caught. He spent his money freely and told people he made it from mining. Two years later, Bill and two friends climbed aboard another CPR train. This time the train was near Kamloops. One of the men’s masks slipped. Someone saw his face. Another mistake was made. They unhooked the passenger car, just like last time. But this time, they also unhooked the train car with all the money. They only made $15.50 from the robbery. They wished the workers a good night and got off the train, very upset. The bad luck continued. About a week later, the police found the bandits in the woods making a meal over a campfire. A gunfight followed. It ended with Bill being arrested. Bill said his name was George Edwards but nobody believed him. He was brought to a prison in Kamloops. When he arrived, a local photographer named Mary Spencer took a photo. That photo was printed in newspapers all across Canada. Yet, not many people across British Columbia were mad at Bill. In fact, many people were fond of him! They thought he was charming, bold, and handsome. They called him “The Gentleman Bandit.” When Bill was brought to a prison in New Westminster, a crowd of fans was waiting to see him. Bill was expected to stay in that prison until the day he died. But less than a year later, some friends dug a hole under a prison fence. Bill Miner got away. Nobody knows how he was able to escape the province unseen. It was like he disappeared into thin air. He left British Columbia and never returned. British Columbians still talk about “The Gentleman Bandit” to this day. See The Gentleman Bandit in BC Reads: Adult Literacy Fundamental English – Course Pack 3. Bill Miner by Doctor Sunshine is in the public domain. C.P.R. railroad locomotive and employees by Esquin has been modified (cropped) and is in the public domain. 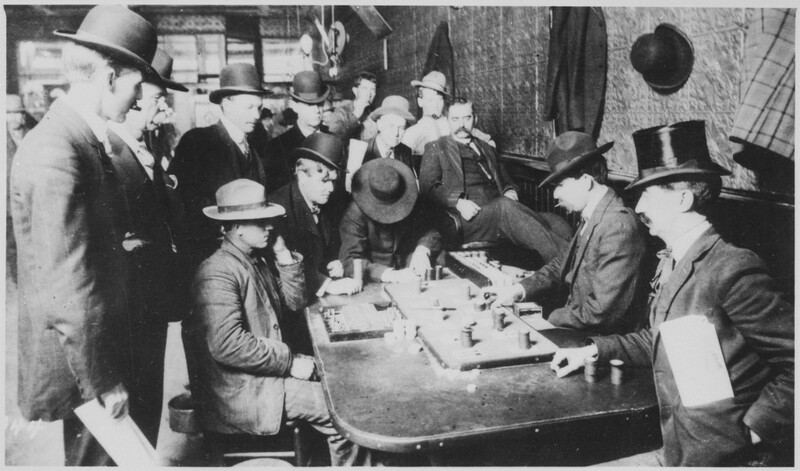 Orient Saloon at Bisbee, Arizona… Faro game in full blast by U.S. National Archives and Records Administration is in the public domain. B.C. 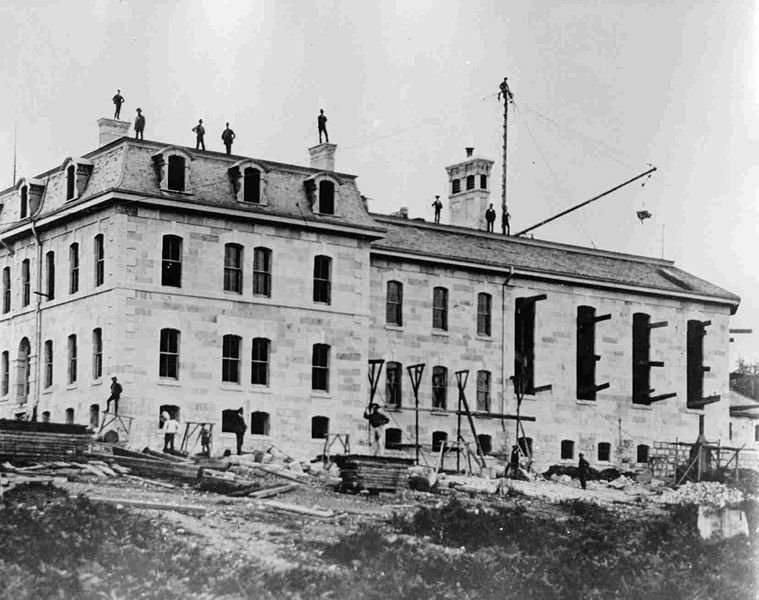 Penitentiary under construction c. 1877 by Kyd is in the public domain. The Gentleman Bandit by Shantel Ivits is licensed under a Creative Commons Attribution 4.0 International License, except where otherwise noted.